I’m happy to announce a new staff member at Wiki Education, Will Kent. Will’s role is unique, as we have two staff members taking leave in the next year. 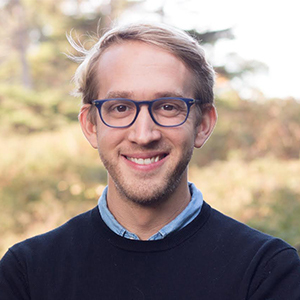 Will has graciously agreed to join the team as a Program Manager, providing interim coverage for the Classroom Program beginning this week, and coverage for the Visiting Scholars Program and Wikipedia Fellows pilot later in the spring. Will holds a bachelor’s degree from Tufts University in Anthropology and a masters degree from the University of Illinois in Library and Information Science. In his previous role as librarian at Loyola University in Chicago, Will advocated for open access and supported engagement with Wikipedia on campus. He is familiar with the Wikipedia editing community, facilitating edit-a-thons during his time in Chicago. Will’s diverse skillset makes him an excellent fit for this unique position. Initially, Will’s responsibilities include responding to instructor questions and providing support as they participate in the Classroom Program. Later this spring, he will pick up management of the Visiting Scholars program, an initiative where we pair universities and their resources with existing Wikipedia editors. Will’s role helps facilitate general communication between the Wikipedia editing community, instructors, and students. He’ll also wrap up our Wikipedia Fellows pilot program, working with us to determine whether we should repeat the pilot. Outside of work, you can find Will scurrying around the Bay Area on his bicycle, exploring neighborhoods, going to shows, cooking, and bridging the gap between real life and the internet. Glad to have you join our team, Will!